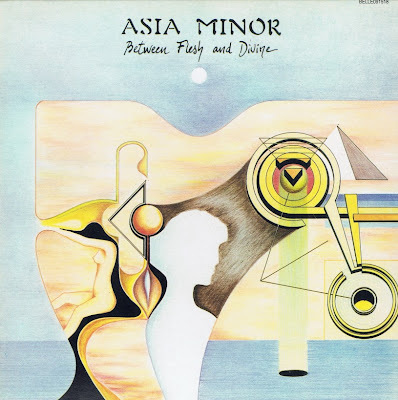 One of the many fantastic, obscure European progressive bands to be unearthed and made available to the prog-buying public is ASIA MINOR, who only released two very small-time albums in the late '70s. This band took a more unusual twist on the genre popularised by CAMEL, with a mostly instrumental rock (what lyrics there are, are sung in a strangely accented English), with folk and ethnic influences, featuring much flute, guitar and keyboards. The two albums are "Crossing The Line" and "Between Flesh and Divine", the latter one is absolutely essential. Whereas the similarly dreamy French progressive PULSAR drew on PINK FLOYD and KING CRIMSON influences. Excellent and original, indispensable for all lovers Progressive rock.